While this project was originally posted in 2015, the recent official opening of the playspace has prompted us to show off some more recent images of how this fantastic park has settled into its natural surrounds and been embraced by the local community of Pelican Waters. 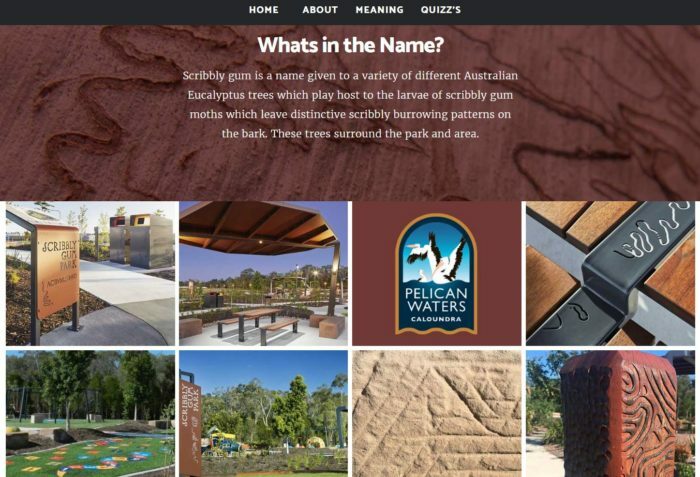 Complete with its own website on how to get the most out of the sensory design of this playspace – http://www.plank10.com.au/ – Scribbly Gum Park is the region’s most cutting edge playground with a range of sensory features and interactive elements to engage our youngest community members at every level. Mayor Mark Jamieson and Local Councillor Tim Dwyer were on hand to officially open the playground at the community event, with families from Currimundi Special School, Montrose and STEPS as well as plenty of residents from the local neighbourhood.